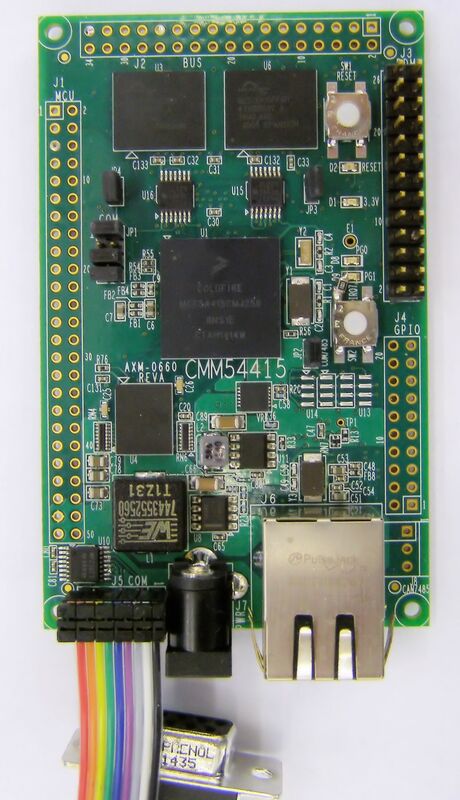 The CMM-54415-OEM is a module featuring the MCF54415 microcontroller. This small form factor (2.20”X3.5”) board is ideal for industrial OEM embedded application where low cost and small size are important. CAN Bus or RS485 interface is a build option. Power Input: 2.1mm DC plug, +6 to +30VDC, 12VDC @ 120ma typical.